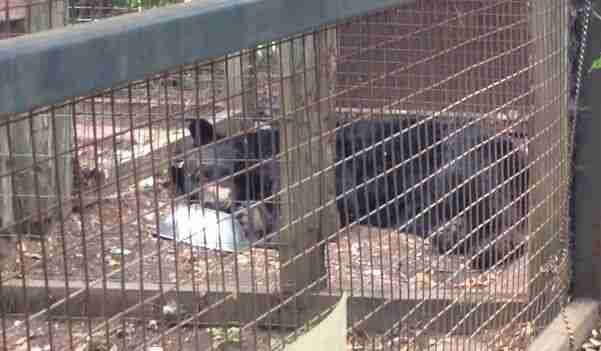 The black bear looked like he had given up on life. He lay on the ground of his enclosure, listless and unmoving. 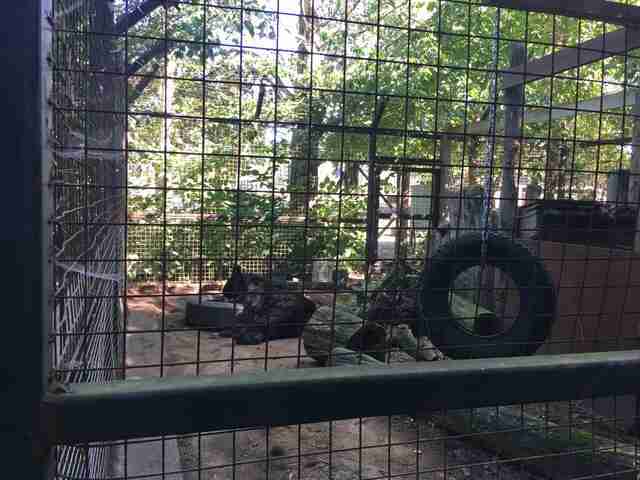 This is what Julie Woodyer, campaign director for Zoocheck, a Canadian animal welfare organization, observed when she stood in front of the bear enclosure at the Spruce Haven Nature Park, a controversial roadside zoo in Ontario, Canada. 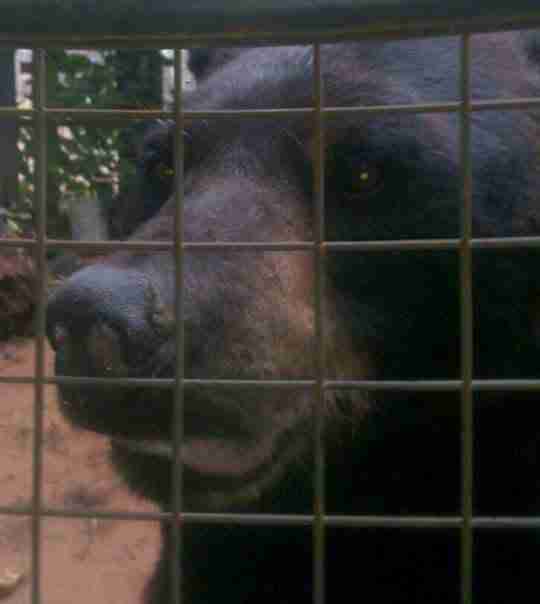 The black bear, named Ben, has been living at Spruce Haven Nature Park for the last 25 years — or possibly longer — inside the same small enclosure, according to Woodyer. But Ben wasn’t born in captivity. On Spruce Park’s website, the facility claims to have started in the “1980s as a rescue facility for injured or abandoned domestic animals and birds,” and says that it’s continued to provide sanctuary for injured and abandoned wildlife. Yet Woodyer doesn’t buy this explanation. 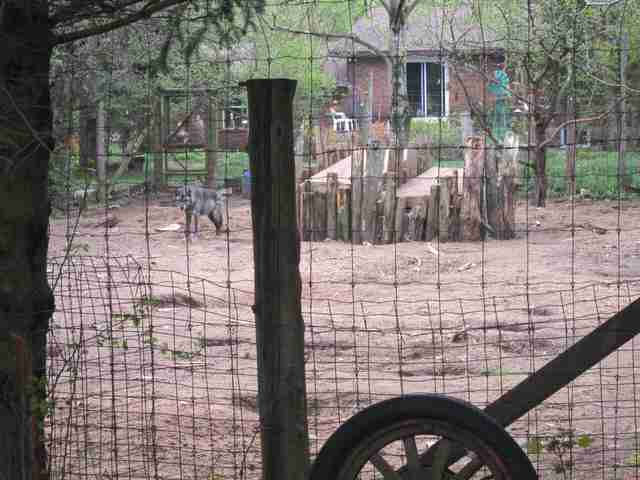 For one, Ben’s enclosure is incredibly small, only measuring to about 25 feet by 25 feet, which doesn’t give him enough space to move around and exercise, according to Woodyer. 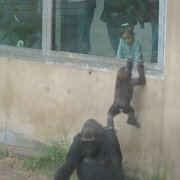 Another problem is the lack of enrichment inside his enclosure. Probably as a result of his unstimulating enclosure, Ben displays several stereotypic behaviors — patterns animals develop to cope with psychological distress — like pacing and lying unnaturally still. Woodyer also doesn’t believe that Ben has regular access to clean, fresh water. 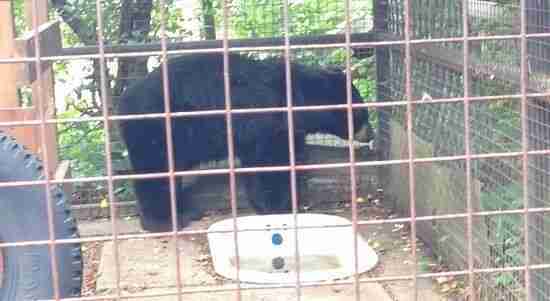 Ben isn’t the only animal suffering at Spruce Haven Nature Park, according to Woodyer. Like Ben, the other carnivores, who include lions, coyotes, cougars and wolves, spend a lot of time pacing inside their enclosures. Other times, the animals exhibit aggressive behavior. Woodyer believes that the zoo also poses a public health risk. Spruce Haven Nature Park could not be immediately reached for comment. The best thing for these animals would be to move them to an accredited sanctuary, Woodyer said, which she hopes will happen as soon as possible if enough public pressure is placed on the zoo. 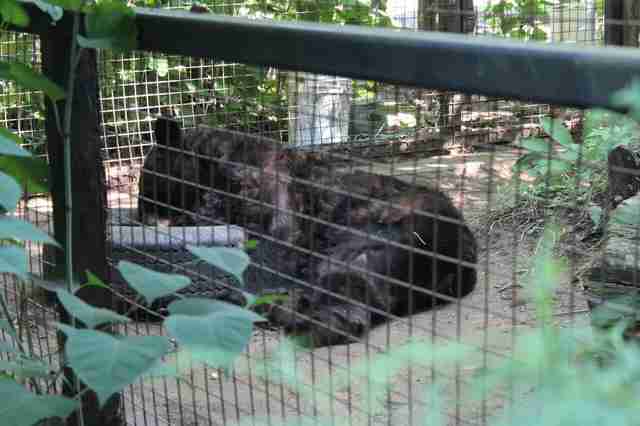 To help Ben and the other animals at the Spruce Haven Nature Park, you can sign this petition. You can also contact the City of Sault Ste. 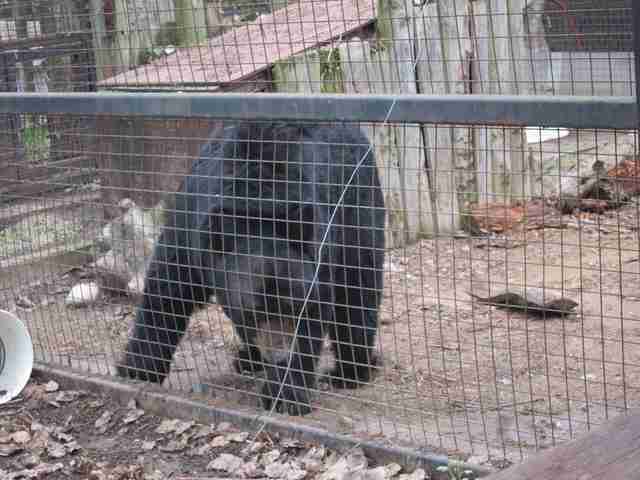 Marie, where the zoo is located, and urge councillors to step in take action.